Yuko Ota & Ananth Hirsh live in Brooklyn, NY. Their latest book is OUR CATS ARE MORE FAMOUS THAN US. They are also the authors of LUCKY PENNY. They’ve worked with Oni Press, BOOM!, Dark Horse, Lerner Publishing, Red5, and more. 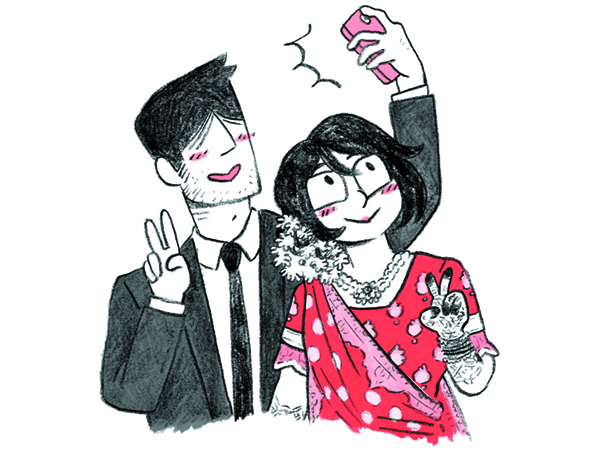 In addition to their work with publishers, Ananth & Yuko have self-published CUTTINGS, a collection of fiction comics and related artwork. Ananth has a previous book with Oni Press, titled BUZZ! You can see more of Ananth Hirsh’s work with Tessa Stone on their latest collaboration, IS THIS WHAT YOU WANTED. Yuko and Ananth post comics at johnnywander.com. Their latest project is titled BARBAROUS. Honorable Mention in the YA Category of the New York Book Festival! Starred review at Publisher's Weekly! Lucky Penny was on Amazon's March 2016 Editor's Pick for Best Comics & Graphic Novels! 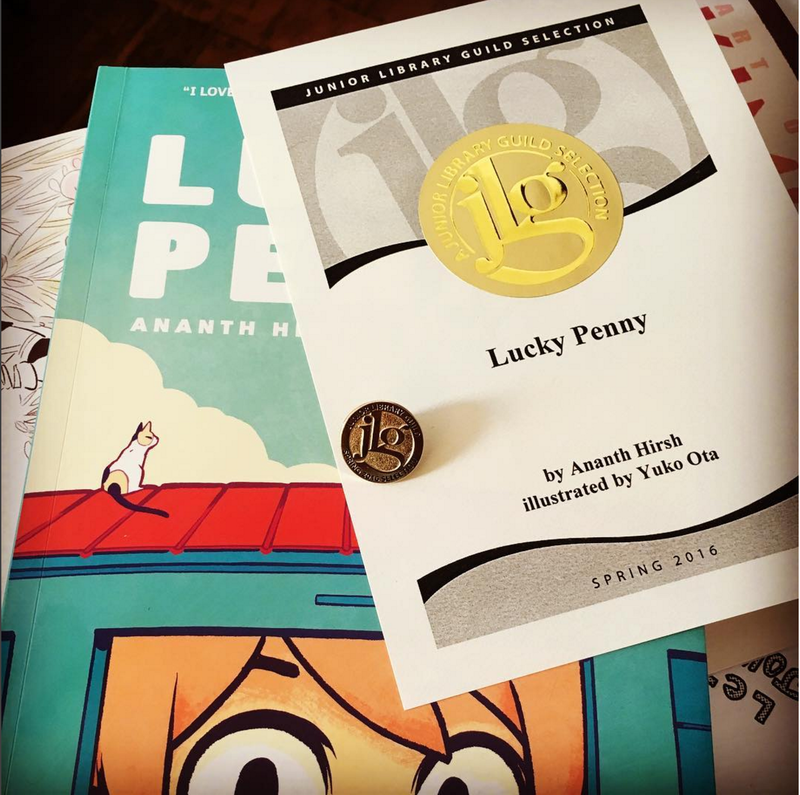 Lucky Penny is one of 5 graphic novels you can't miss! The Tweeks review Lucky Penny! Foreword Reviews says Lucky Penny is one of The 7 Best Graphic Novels of Spring 2016! 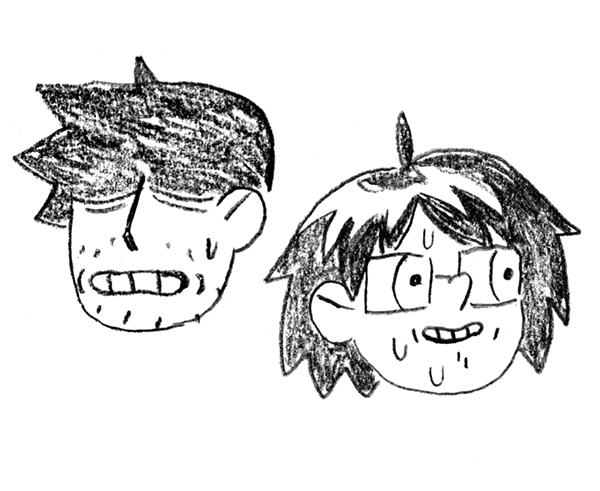 Lucky Penny is one of Mental Floss' The 3 Most Interesting Comics of the Week! Lucky Penny is one of 5 Graphic Novels to Take to the Beach!